Konjac sponge. For months I’ve been dying to try a Konjac sponge, but kept passing it up because of the $18 price tag. I purchased one on Amazon for $5.94. The sponge is very rough when dry, but as soon as you get it wet and lather some face cleanser in there it is amazing! Normally I wash my face with my clairsonic when I want to exfoliate. If I opt for a wash rag or some other cloth my face gets irritated from daily washing. This sponge is really gentle, removes all the traces of make up that my make up remove leaves behind, and leaves my skin feeling soft. The sponge lasts about 2-3 months. Urban Decay’s Virgin Eye Shadow This shadow is one that is included in the original Naked palette. I’ve used it so much that I hit the pan! It is similar to MAC’s Shroom shadow. I prefer this Urban Decay shadow over MAC because the product is a little more powdery and soft. $18 is pricey for one shadow, but I have not been able to find a drug store color that is similar and the same consistency. Real Techniques Sculpting Set. Another set of affordable makeup brushes to add to the collection. Real techniques brushes are reasonably priced and decent quality. I purchased this set on Amazon for $10.94. Blender sponge holder. I use my beauty blender the same way every day. I wet it and blend my concealer into my foundation. After I was finished, I set the blender on vanity and continued on with my make up routine. The blender always rolled around smudging makeup all over the vanity. This little holder keeps the vanity clean and my blender in one place. Plus, it is only $7.99. AELEC Bluetooth Headphones. For $20, these Bluetooth headphones are a worthwhile investment. They are comfortable, cancel out noise, and produce a decent sound. My only compliant is that there is a lot of static and skipping when they are worn around other people who are using bluetooth headphones. Otherwise, a great deal for the price! Hikari Cosmetics Mechanical Eye Liner in Storm – This is a dark grey eyeliner that has a little bit of sparkle to it. The formula is a little bit waxy, which made it difficult to apply. At $13 this product is a bit over priced for the quality it produces. Pacifica Natural Mineral Coconut Eye Shadow in Treasure – I received a sample of Pacifica eye shadow in another Ipsy bag that is a similar shade that I use quite often. The shadow goes on smoothly but, it isn’t very pigmented. The other downside is that the Pacifica shadows are only available in a palette and cannot be purchased separately. Manna Kadar Cosmetics Sheer Glo Luminizer – This luminizer is very thin and liquidity. I’d recommend mixing it with some of your foundation before you apply it. It gives your skin a little bit of “glow” which is great for my dull winter skin. La Fresh Eco-Beauty Be Good. Good Day. Day Moisturizer – I immediately noticed the unpleasant smell when I opened up this product. It is medicinal smelling, greasy, and very watery. After applying the moisturizer I did not notice a substantial difference in my skin. Malin + Goetz Mojito Lip Balm – I rolled my eyes when I saw another lip balm sample but, after trying it was pleasantly surprised! The smell/taste kind of reminds me of honey lemon Halls throat drops. The lip balm is very soothing to my over chapped lips. Unfortunately, it does not provide sun protection so I’d have to use it with a product that does or if I’m staying in doors. 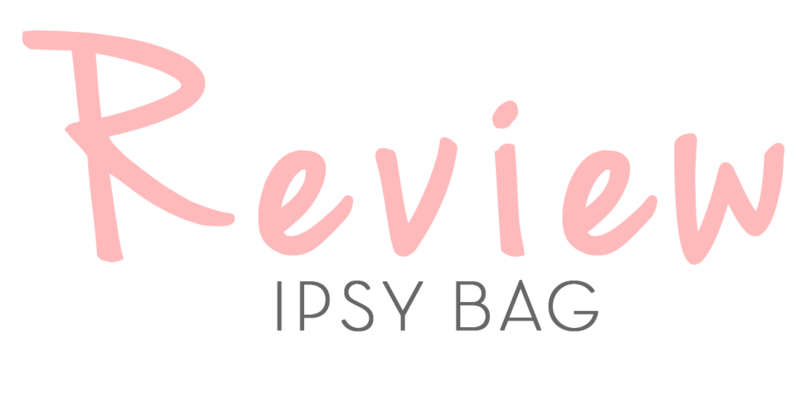 Ipsy is beginning to disappoint me! I’ve had a Birchbox subscription before but, cancelled because I preferred Ipsy. Are there any other subscription services available out there? 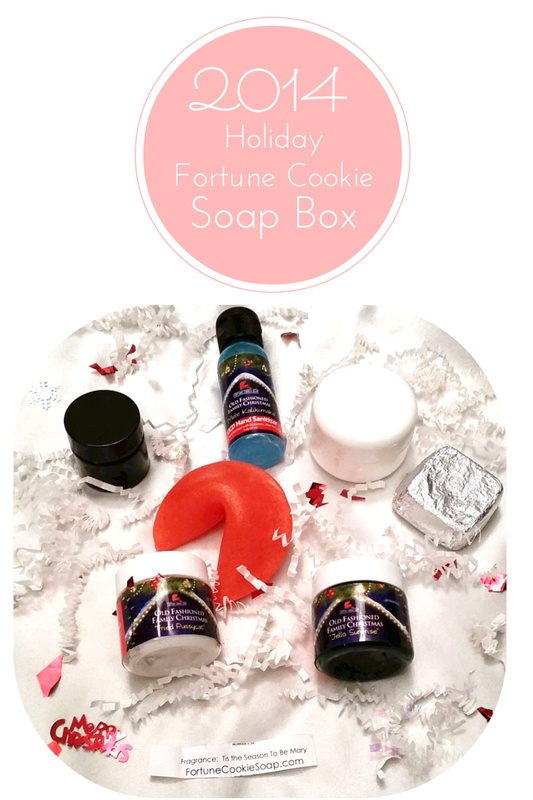 The Fortune Cookie Soap Box is so much fun but, it comes out quarterly. The Spring box ships on February 9th and it appears it may be Alice in Wonderland themed! If you like soap/lotion/body wash, their boxes are worth checking out! 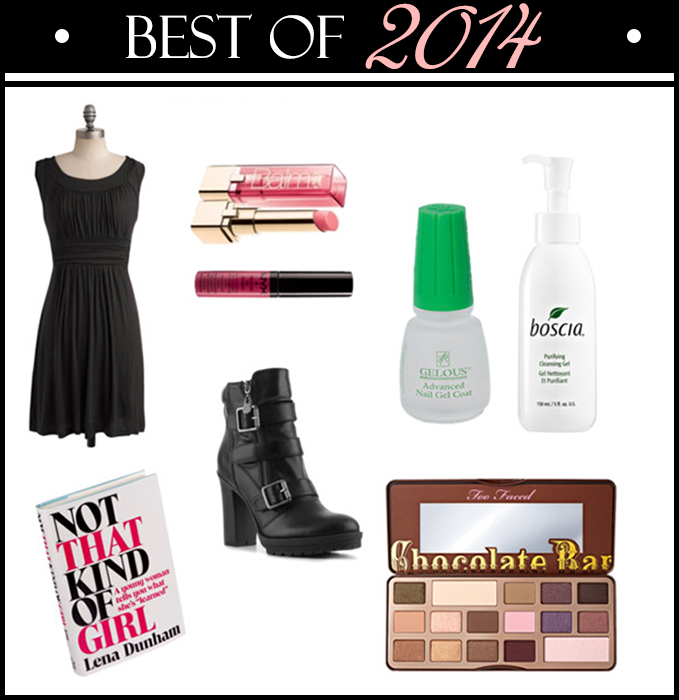 Is it too late to post a “Best of” list for 2014? It was so hard to get up on Monday and go back to work for a full week as well as start another class at school. Getting up and out of bed the past few days have been a challenge. It is freezing here in Pennsylvania and no matter how many layers you wear, going outside is literally painful. Anyway, here are my favorites from last year. Dress – ModCloth I love your dress I love these dresses so much that I have one in 3 colors. ModCloth just released two new colors Burgundy and Cobalt. The Burgundy keeps going out of stock, but I was lucky enough to order one earlier today. The dress is very versatile and can be worn in spring, summer, and fall. Although the fabric is thin, I still am wearing it this winter. Heavier tights, sweater, and boots make it work. Boots – G by GUESS Gadget Bootie In the beginning of fall I looked everywhere for a good pair of black booties. I now have 3 pairs and these by far have been my favorite. They are comfortable and actually warm. It looks like DSW is almost sold out online though. Lip Gloss – L’Oreal Colour Riche Balm & NYX xtreme lip cream Both of these products are incredibly affordable, which is why I have several and always keep one of each in my purse. I prefer these over lipstick when I’m at work or just doing something casual. Nails – Gelous Nail Gel This isn’t really much of a substitute for gel polish. It removes just like regular polish but, does seem to keep it from chipping right away. I think it also keeps my nails a little stronger. Skin – boscia Purifying Cleansing Gel I added this to my skin care routine later this year after experiencing several break outs. After using it nightly for a few weeks I did see an improvement in my skin and will purchase it again. The price is a bit high but, it is very gentle on sensitive skin and a bottle will last you a few months. Book – Not That Kind of Girl by Leena Dunham In 2014 I really got into the Girls show and once I heard Leena was releasing a book anxiously waited for the release date. The book was incredibly entertaining up until the end. I enjoy Leena’s raw, gritty, truthfulness and the fact that she is so comfortable and confident with herself. Palette – Too Faced Chocolate Bar Eyeshadow Palette Also high up on my list of favorites is Urban Decay’s Naked Basics 2 Both of these palettes offer high quality shadows in neutral colors that can easily be toned down or vamped up. I picked the Chocolate Bar palette over Naked Basics 2 because I just cannot get over the fact how amazing it smells when you open it up. 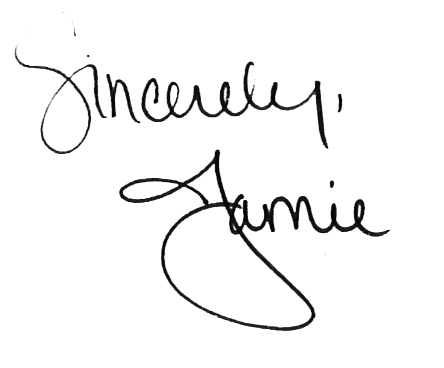 Thanks to everyone who posted a favorites list, I have several products on my 2015 list to purchase! Rather then discussing some of my favorite products/items I’ve been into; I wanted to share that I got my first Fortune Cookie Soap Box yesterday! I signed up for this back in August and have been patiently waiting the past few months to receive it. For those of you who are not familiar with it, it ships quarterly. There is usually a spring, summer, fall, and holiday theme. The box is $20, but you definitely receive a substantial amount of product! This holiday theme is based off of the National Lampoons Christmas Vacation movie. It just so happens that this is one of my favorite holiday movies to watch! 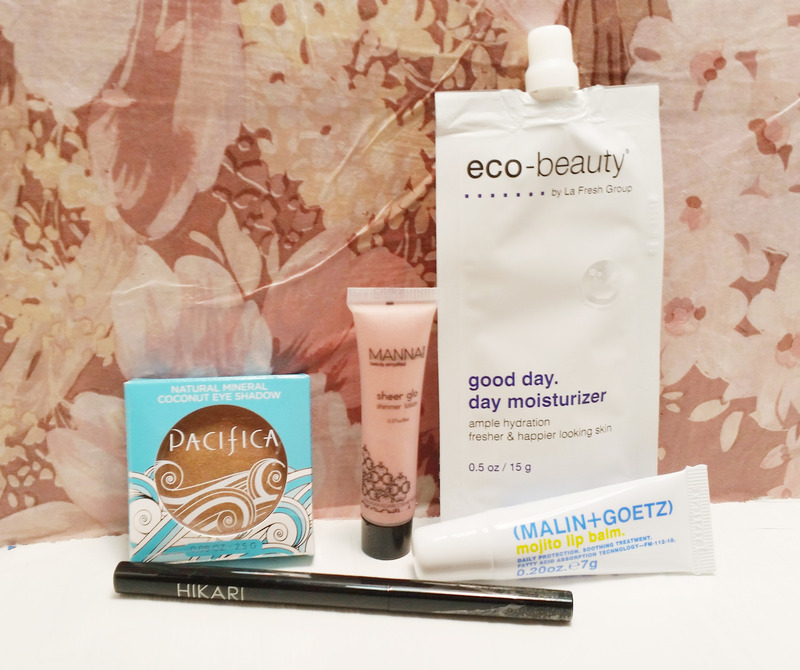 I did sample a few products to give an overall opinion of the box. The black container on the upper left is the “Moose Mug” cuticle butter. It is ultra creamy, not greasy, and absorbs well into your cuticles. On top of that it smells absolutely delicious like eggnog and nutmeg. Next is the “Mele Kelekimaka” hand sanitizer. I’m really not a huge fan of hand sanitizers and when I applied this one it smelled like I was pouring alcohol straight into my hands. Once this sanitizer evaporated, it did leave a pleasant “tropical” scent. The white container is filled with deep conditioner and is this boxes “mystery fragrance.” Fortune Cookie offers a $50 gift card for anyone who can guess the correct scent. I’m going with sugar cookie, but regardless I cannot wait to try this stuff out! Hopefully it leaves my hair smelling as good as it does in the jar. The bar wrapped in foil is a shower steamer. This is the first time I’ve heard of something like this. Apparently you just drop it in the tub as you take a shower. I love taking baths and soaking in bath salts and bombs (side note why can’t we have a Lush in Allentown?) so I’m also excited to try it out. This particular shower steamer smells like fresh cut trees and mint. “Jello Surprise” is a whipped cream moisturizer that’s smell is described as strawberries, vanilla sugar, and sticky syrup with a squeeze of orange. I sampled this last night and again it was not greasy, very thick, and absorbed quickly into my skin. I’d compare to the smell to “Juniper Breeze” that Bath & Body Works smells. “Fried Pussycat” is a whipped soap that I have not tried yet. Like everything else in this soap box it smells delicious! Of course last, but not least is the cute fortune cookie shaped soap. Although the scent is described as sweet almond with warm swirls of tobacco, I think it smells more like apple cinnamon. As a subscriber of Ipsy and Birchbox, Fortune Cookie Soap box is by far the best box I’ve gotten yet! I definitely recommend signing up and getting at least one box to try out! Happy Halloween! Life is pretty crazy right now with school and work. Everything has transitioned so fast from summer to fall and now winter. Stores already have Christmas decorations out. Christmas has become a holiday that we begin to celebrate a good two months before the actual day. It really is the most anticipated day of the year for those who celebrate it. Anyway, Christmas makes me think of the bitter winters here in Pennsylvania. My skin gets very dry and itchy. These are my go to products to stay moisturized during the season. 1.) Neutrogena Norwegian Formula Hand Cream Hands down the best hand cream I have ever used. A tiny bit goes a long way! I prefer the fragrance free. The regular product smells like baby powder. 2.) Bliss Fabulips Sugar Lip Scrub This stuff is wonderful to get the dry skin off chapped lips. I constantly have chapped lips this time of year, and after using some scrubs my lips get irritated. I use this as often as every other day some weeks and have not had irritation. 3.) ChapStick Classic Skin Protection Forget all of the fancy ChapStick options stick with this good old one. 4.) Vaseline Spray and Go Body Moisturizer I love the convenience of lotion in a spray bottle! It is not super moisturizing but does it’s job and dries really quickly. 5.) Natural Loofah Luffa Loofa Body Scrub Pads Take a hot bath, get out your favorite body wash, later up one of these and scrub! These scrubs help remove dead skin cells and will ultimately help keep your skin smoother. After using one of these I recommend lathering up with the next product. 6.) Bath and Body Works Super Rich Body Cream with Shea Butter This is indeed “super rich” and smells amazing. It is one of the only body creams that I feel locks the moisture into my skin. Again, Bath and Body Works always has great sales and coupons. I can’t remember the last time I paid full price for anything at their store.